INTERPOL Director of Capacity Building and Training, Dale Sheehan addresses the first training session of the INTERPOL Capacity Building Programme on Enhancing Migrant Smuggling Investigation in Southeast Asia. Semarang, Indonesia: The first training session of the INTERPOL Capacity Building Programme on Enhancing Migrant Smuggling Investigation in Southeast Asia is being held in Indonesia in cooperation with the Jakarta Centre for Law Enforcement Cooperation (JCLEC). 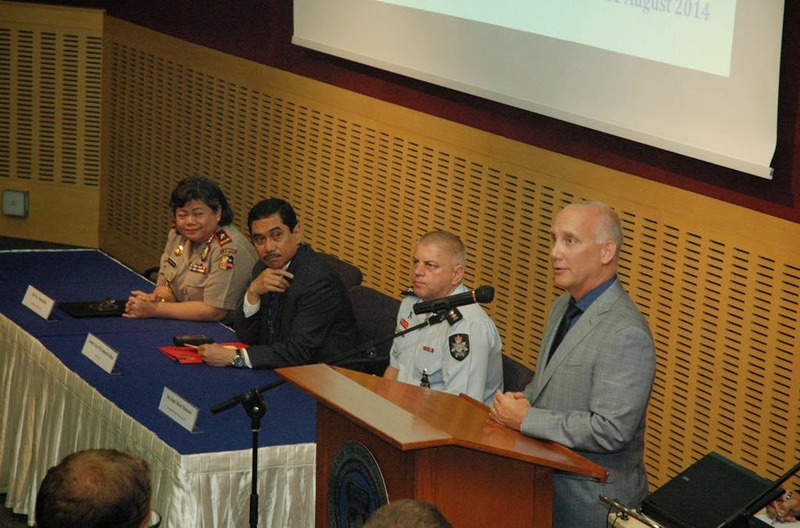 The JCLEC is located within the Indonesian National Police Academy. It is a resource for the region in the fight against transnational crime, with a focus on counter-terrorism, through the coordination of training programmes, seminars and workshops.